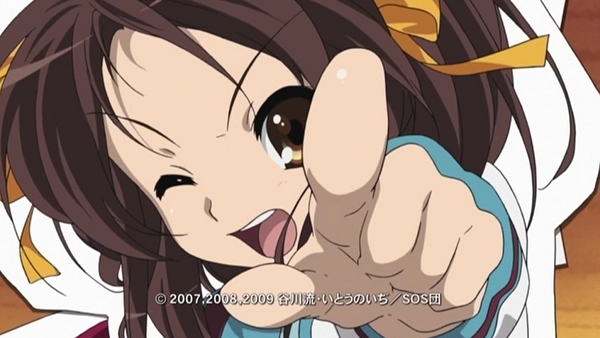 Not content with normal methods of showing off its new season of The Melancholy of Haruhi Suzumiya, Kyoto Animation hid the first episode within a re-airing of the first season. About two months ago in Japan the first season of Haruhi started re-airing on TV. Last week when episode eight should have been shown, a new episode was shown in its place. 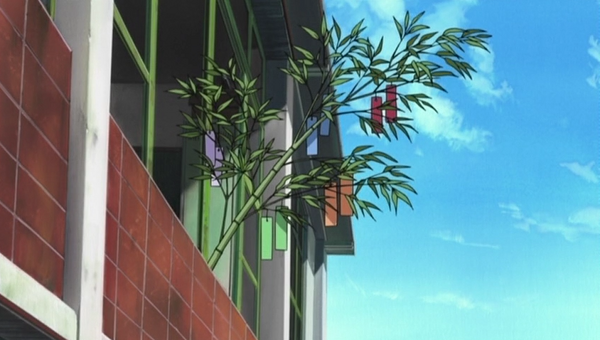 The new episode is called "Bamboo Leaf Rhapsody" and is so far the only new episode to be shown. The bamboo leaf from which the episode is named. I guess there have been quite a few leaks in regards to the TV programming schedule in Japan that hinted at a 28 episode series run (season 1 + season 2). Still this was some shocking news for me, especially with Kyoto Animation's K-On still airing. I definitely enjoyed the new episode and will keep watching the rest as they air.